We have three stories to present to you this month. 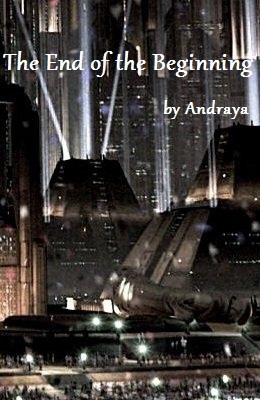 The first is Dark Side Rising by Ki-Aaron-Mundi, N11ORDO, Armanus, KBA, and Echo7Solo. 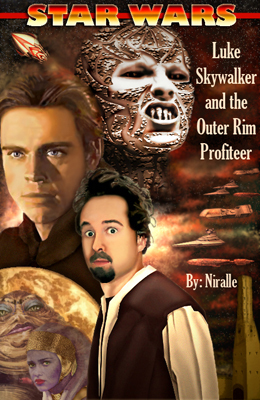 Next up is Luke Skywalker and the Outer Rim Profiteer by Niralle. 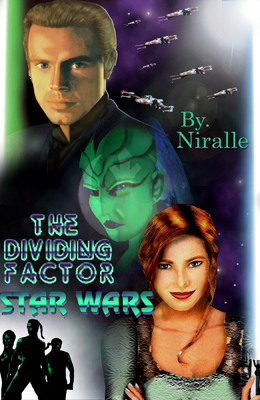 Last but not least, we have The Dividing Factor, also by Niralle, which is an updated edition from her 2003 version. Summary: Okay, let's get something straight right now ... I'm not a bad guy. I didn't ask for bounty hunters to shoot at me, Imperial enthusiasts to hunt for me, Hutts to torture me, and I certainly didn't want to involve any Jedi Masters in this mess. Who knew everyone would get so up in arms about ancient Death Star blueprints? So, when the blasters start blasting and lightsabers start swinging, just remember ... this is not my fault. Summary: The human race is about to be annihilated. 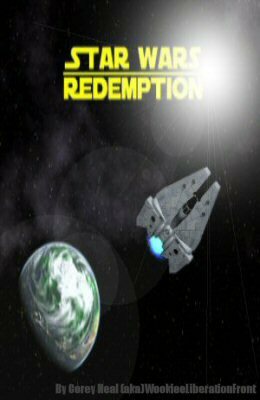 Luke Skywalker and his wife, Mara Jade, have the only lead to stop the radical aliens from unleashing a plague that will kill trillions across the galaxy. 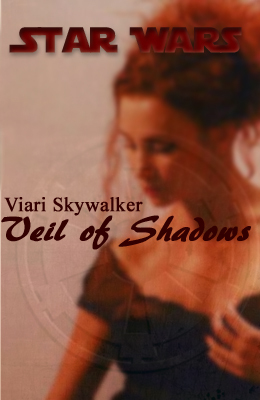 During the quest, Luke and Mara must rely on the Force and each other to stop the genocide before it begins. Can their Jedi instincts prepare them for the battle at hand...especially after the truth behind their alien adversaries is revealed? 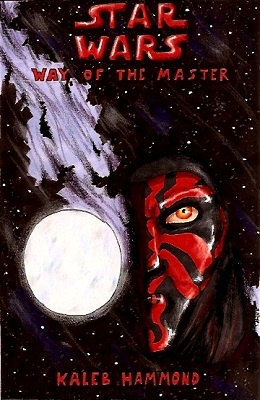 Summary: Darth Maul is sent on a mission of galactic consequence. 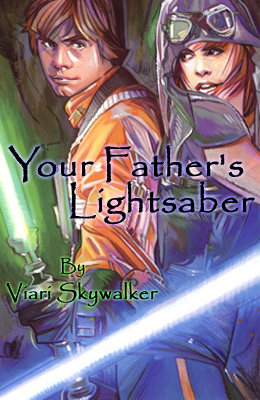 Summary: Mara Jade takes an unwanted vacation and reflects upon the gift Luke Skywalker gave her four years ago. Summary: It is the height of the Galactic Civil War. Two Wookiees from different backgrounds are put through similar trials during the Empirical oppression of their world of Kashyyyk. One finds solace in the Dark Side, one finds hope in the Light Side. 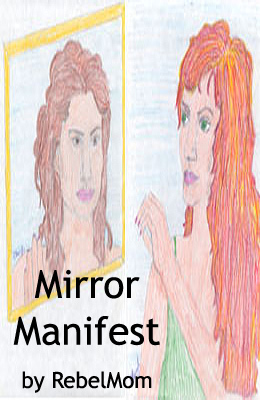 Makaashyya comes into conflict with her very being after losing everything. The Dark Side consumes her and she is corrupted into helping the very tyrants and murderers that destroyed her life. Echobe never had much to begin with, and what he did have was taken from him by the Empire, but the hate doesn't rule him. He fights back during his search for his missing senator parents while trying to help his people he once neglected . Eventually, these two Wookiees meet, and with Echobe, his pet rancor, Bilebelch, and with comrades in arms he meets along the way, Makaashyya is able to fight her demons and find redemption, ultimately giving Echobe his. Summary: A strange tale where the good guys are bad, the Empire has won, and a Sith adept pursues the girl of his nightmares. 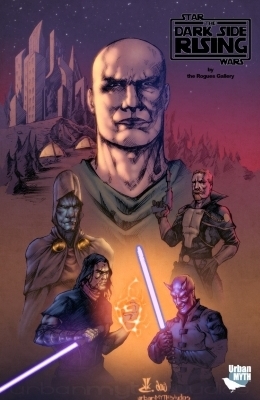 Summary: How does the galaxy react to the official news of the death of Emperor Palpatine? Summary: During her honeymoon, Mara meets a familiar woman in a mysterious manner and learns information important to her husband, and herself. How familiar are you with fanzines?